2 bed. 2 bth. 69 sqmt. 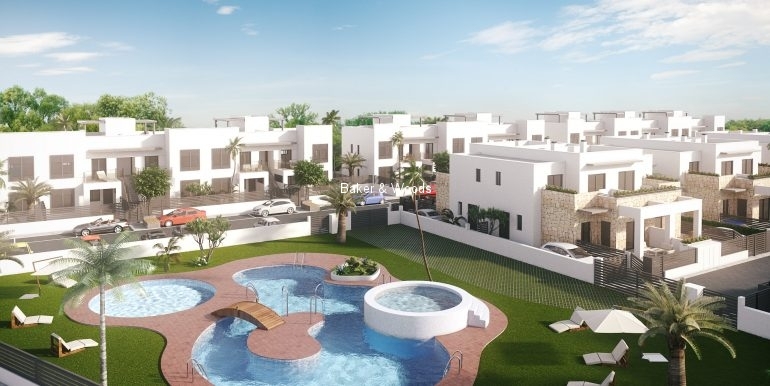 Beautifull ground and top floor apartments with 2 bedrooms and 2 bathrooms located in Aguas Nuevas area of Torrevieja. Priced from 155.000 euros to 185.000 euros depending on plot position. 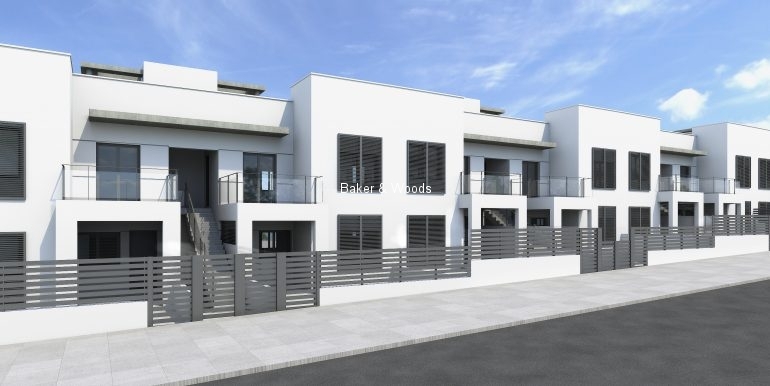 The appartments have approximately 60m2 living space which consists of the master bedroom with ensuite bathroom, 1 bedroom, 1 bathroom, fully fitted kitchen, spacious living area with dining corner and a terrace. The bathrooms are fitted with an under floor heating system. And there is a comunual with a swimming pool. The top floor apartments have access to a rooftop solarium. 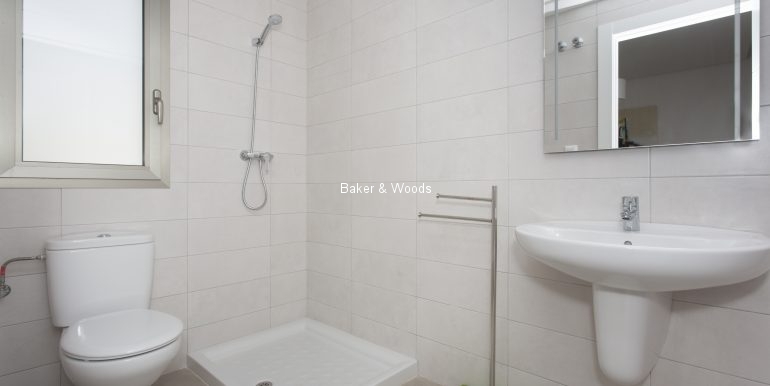 For all apartments it is possible to add a 3rd bedroom for only 3000 euros extra. 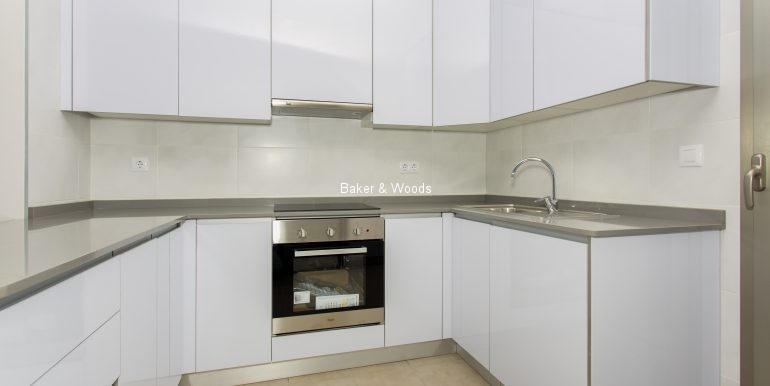 The apartments are located less than 100m from supermarket, pharmacy, restaurants and other amenities. In less than a 10 minute drive you find yourself at the seaside of Torrevieja. Set for completion September 2018. • Seismic isolated structure of reinforced concrete. • Exterior walls with thermal and acoustic insulator chamber according to existing regulations with concrete layer. • Plastered smooth paint inside the houses. • High quality porcelain stoneware flloring tiles. • Lacquered anodized aluminum exterior carpentry and double-glazing windows. 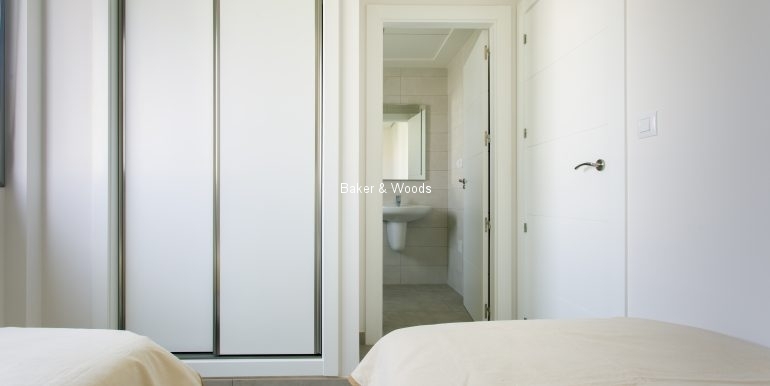 • Smooth lacquered interior door panels. • Wadrobe-furniture according to plans. • Water heater and thermal solar panels to heat sanitary hot water. • High quality mixer taps and vitrified toilet. • Communal aerial and pre-installation of telephone conection. • Grills in ground floor exterior windows. Baker & Woods can help you make you next move, financial, legal and planning advice all on tap. 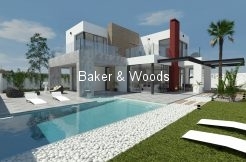 At Baker & Woods our purpose is to help people find great properties overseas in places like the USA, Spain & Bulgaria. Go Explore!